The CRM-100™ is a general purpose geiger counter that measures alpha, beta, gamma, and x-radiation. It is intended for personal safety and educational purposes. Like the popular Radalert 100™, the CRM-100™ features a 3-second update on its digital liquid crystal display (LCD). 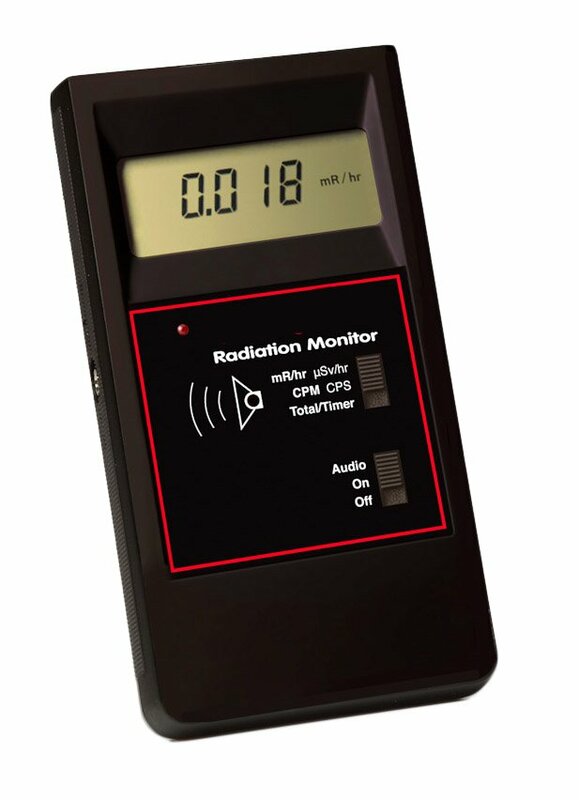 The LCD shows the current radiation level in your choice of milliroentgens per hour from .001 to 110 or counts per minute (cpm) from 0 to 350,000. When SI units are selected, the LCD shows readings in microsieverts per hour from .01 to 1100 or counts per second (cps) from 0 to 3,500. This instrument also offers an accumulated total and timer function, up to 9,999,000 counts and 40 hours. A red LED blinks and a beeper chirps with each count (the chirp can be muted).